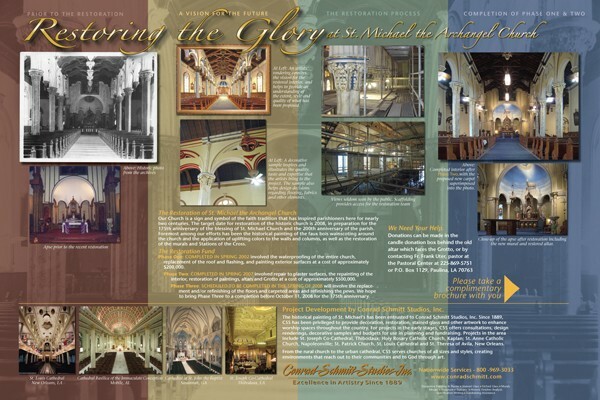 From the Grand Ballroom at the Waldorf Astoria Hotel to the original Grain Exchange in Milwaukee, the Conrad Schmitt Studios provides solutions in a variety of media. 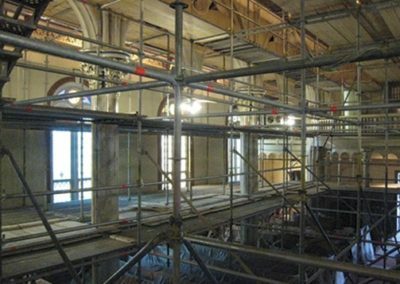 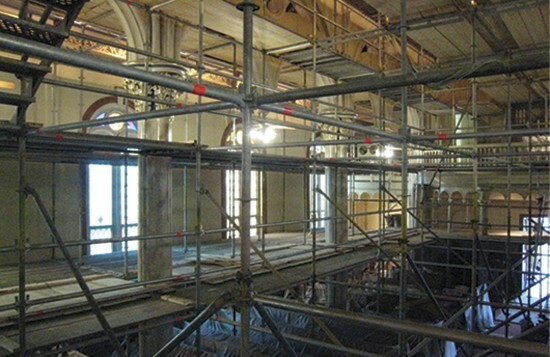 Experienced in the conservation and restoration of the traditional and the creation of the contemporary, the Studio has been involved in the preservation of countless structures of architectural and historic significance throughout the United States. 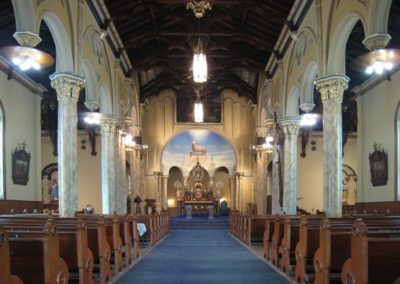 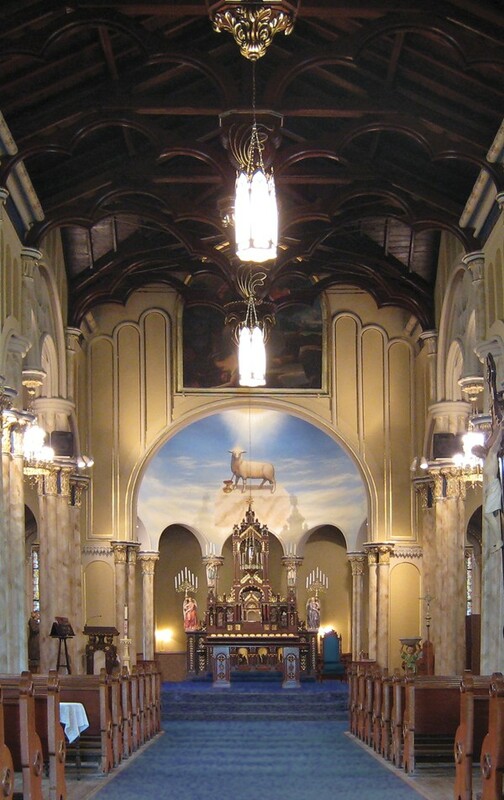 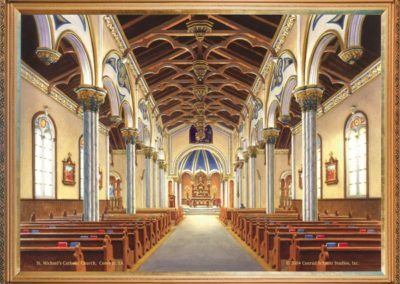 The church of St. Michael the Archangel, a sign and symbol of the faith tradition that inspired parishioners for nearly two centuries, planned its restoration completion for its 175th anniversary of the blessing of St. Michael Church and the 200th anniversary of the parish. 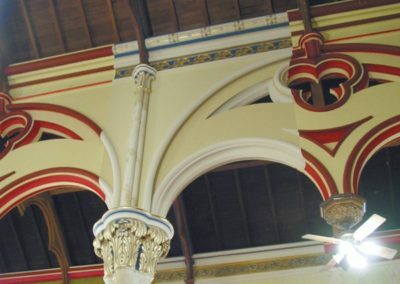 Foremost among the church’s efforts was the waterproofing of the entire church, replacement of the roof and flashing, painting of the exterior and repair to interior plaster surfaces. 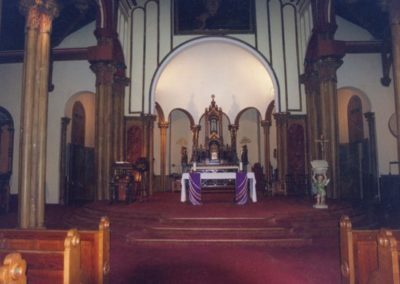 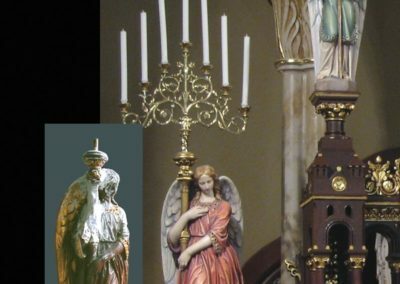 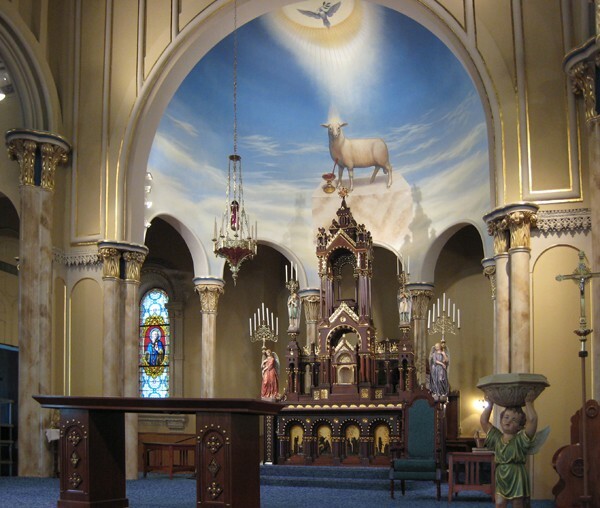 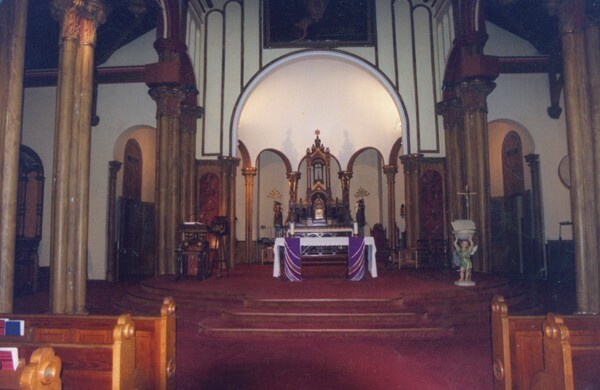 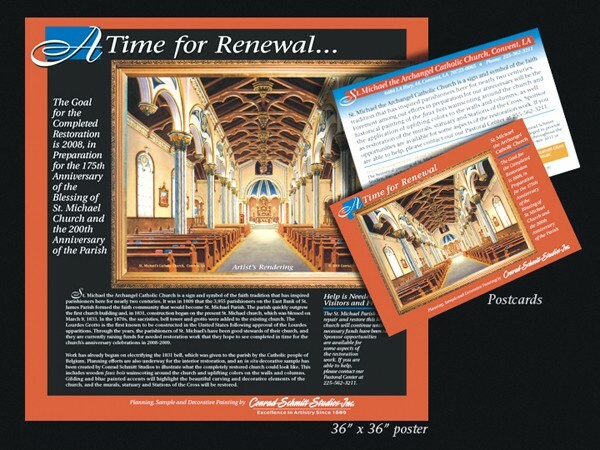 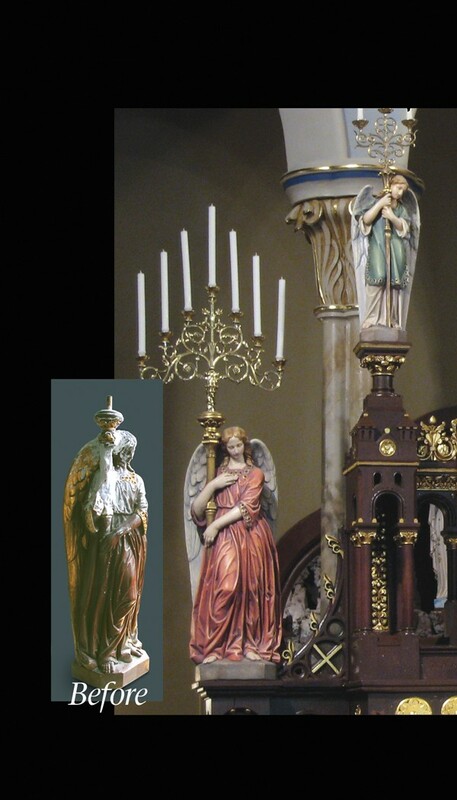 Conrad Schmitt Studios then continued with fundraising efforts including artists renderings, an in situ decorative sample created to illustrate what the completely restored church could look like. 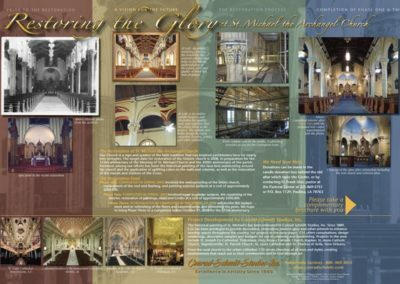 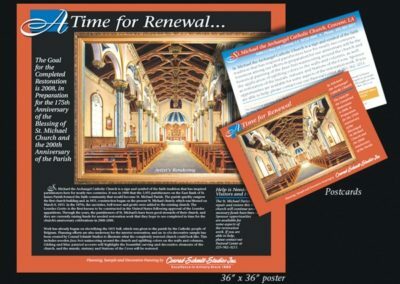 Display boards, postcards and trifold flyers for handout were created to show the vision of the restoration, explain the restoration process and provide a conduit for the fundraising. 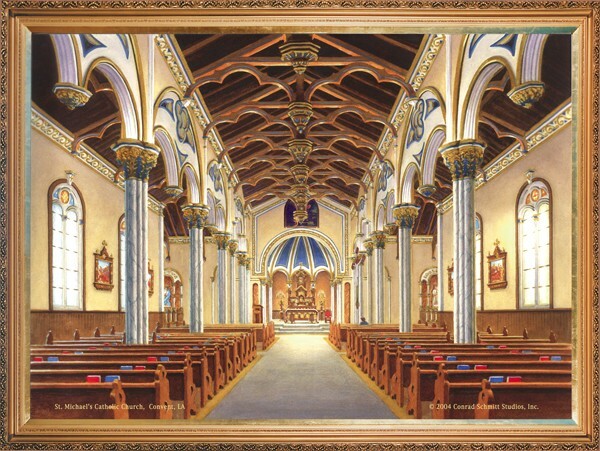 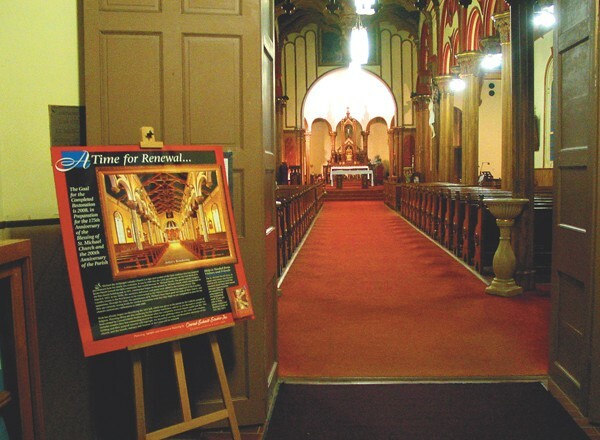 The historical painting includes the faux bois wainscoting around the church and the application of uplifting colors to the walls and columns. 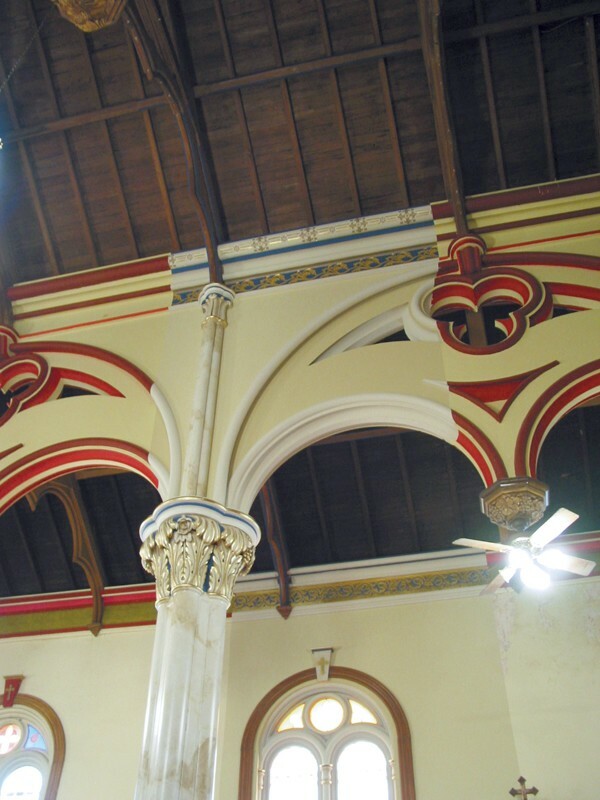 Gilding and blue painted accents highlight the beautiful carving and decorative elements of the church. 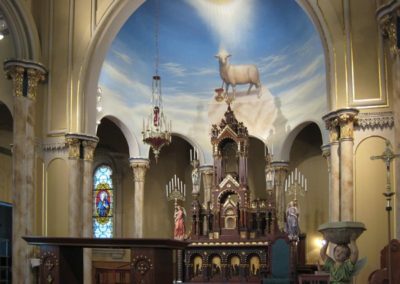 Restoration includes the altars and grotto, as well as the murals, statuary and Stations of the Cross. 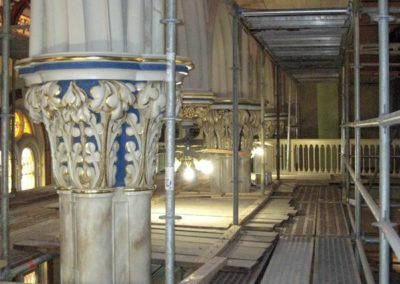 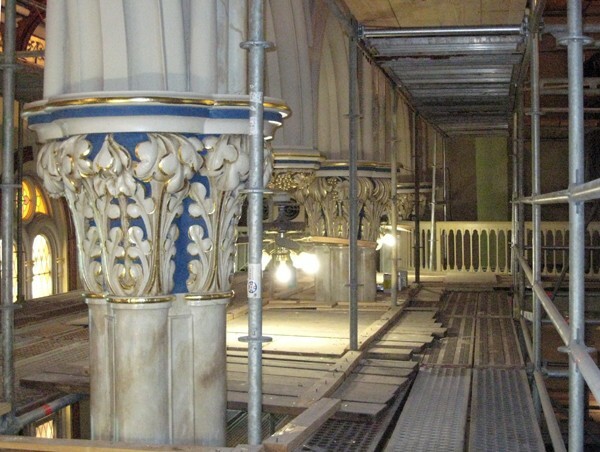 Through the years, the parishioners of St. Michael’s have been good stewards of their church and, as a result, they raised the funds needed for the restoration work to be completed in time for the church’s anniversary celebrations as planned.